You know what’s handy? Waking up in the morning, firing up your phone/computer and being able to scan a super quick (but curated) rundown of the best of what lies ahead. So here it is, our list of fun things to do in Los Angeles for today, Friday, November 9, 2018. From preview night at Art at the Rendon. Photo by Brian Champlin / We Like L.A.
1. [10 a.m.] The Pasadena Arts & Craft Show (Nov. 9 – 11) at The Hilton Pasadena is an artisan market place offering a wide variety of handcrafted goods from over 200 exhibitors including interesting food, rare wines and other edible gifts. 4. [5 p.m.] Little Dragon perform a live set at Amoeba Hollywood. 5. [6 p.m.] Leimert Park Friday Night Block Party. 6. 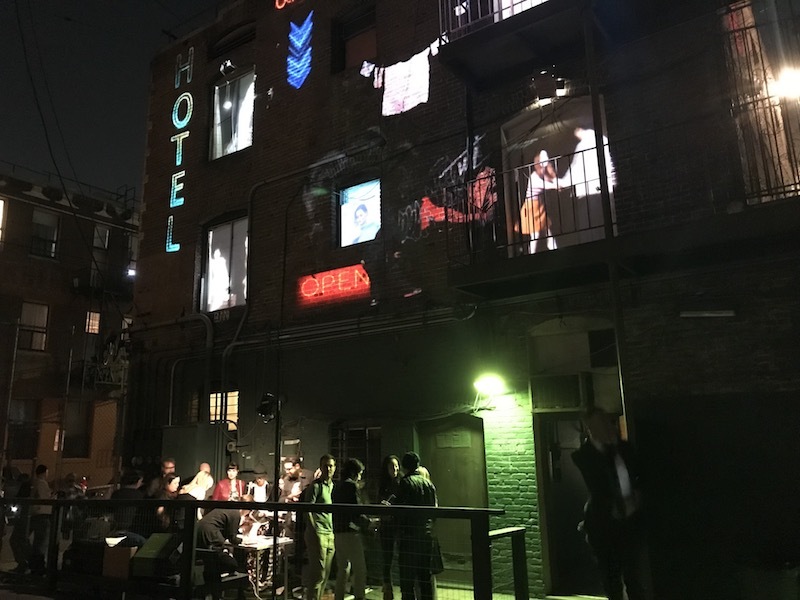 [7 p.m.] Art at The Rendon (Nov. 9 -11) is an immersive operatic event that completely reinvents the interior of the Rendon Hotel through film projections, actors and a speakeasy from the 1920’s with a wealth of different beers and concoctions from local breweries and distilleries. Live performances from acts like The Vignes Rooftop Revival and more will take place throughout the weekend. 7. [7 p.m.] The Mayan Heart Festival brings a bit of Guatemala to LA for a night of music, ceremonial dance, and vendors throughout the course of the night. 8. [various] Craftsman Weekend returns to the city of Pasadena November 9-11 with walking and bus tours of historic neighborhoods, buildings, a market place and more. 9. [various] The annual AFI FEST (Nov. 8-15) returns to Hollywood for 2018 with an eight-day run featuring tons of film screenings, world premieres, and panels.